Ambergris Caye Belize is itself an oasis offering endless beauty and adventure. Belize City is nearby where opportunities merely multiply. An amazing 40 percent of the land area of Belize enjoys some type of protected status. Even around Belize City, many areas are off-limits to development. As a result, Belize is one of the major eco-tourism destinations in the western hemisphere. The rain forest is home to both jaguars and iguanas. Caves are home to bats, exotic spiders, freshwater crabs and catfish. Birdwatching is popular, thanks to some 618 species, many of them both colorful and unique. The Belize Audubon Society, or BAS, was formed in the 1970s. And it's not everywhere that one can go cave tubing down the Sibun River and see a cave waterfall. In fact, some of these underground worlds around Belize City were once the sites of ancient Mayan rituals. Zip line canopy tours offer a unique perspective of the rain forest ecosystem. Speeds can reach up to 40 mph as one zips through the tree tops 70 to 90 feet above the jungle floor. Black howler monkeys are often heard and sometimes seen along the zip line routes. Those that want to remain on terra firma can explore the forest floor along 100 miles of old logger trails that were established back in the days of logging mahogany trees. 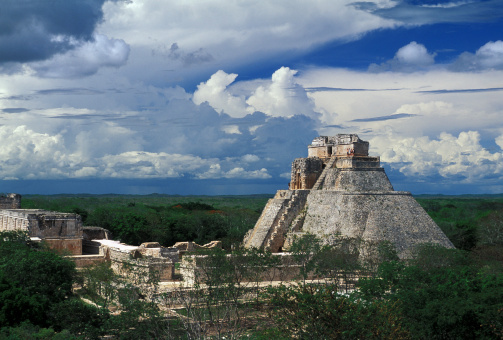 Just 30 miles north of Belize City is Altun Ha, ancient ruins of a Mayan city. The site is just 6 miles inland from the Caribbean coastline. Remarkably, this site was not discovered until it was noticed from the air by a dedicated Mayan researcher in 1963. There are literally hundreds of structures in the 5-square-mile area, the tallest of which is the "Temple of the Masonry Altars." It is 54 feet high. Head the same distance to the west of Belize City to experience the Belize City Zoo. The 29-acre zoo is home to 4 dozen native animal species. This zoo is particularly distinctive in that people have not altered the natural habitat within the confines of the zoo. Gravel trails allow one to journey through the naturally dense vegetation. A trip over to the Belize City area from Ambergris Caye Belize is quick and easy. The variety of experiences possible in the span of just one day is impressive. One can go to the Altun Ha Mayan ruins, and then, itÂs possible to head to some of the caves where Mayan priests engaged in rituals more than a millennia ago. The flora and fauna around the city can be enjoyed at the zoo or from a canopy zip line. Residents and travelers alike will never tire of the range of activities and adventures.